If you are looking to buy a home in Concord, Ohio. As a real estate agent, I want to be prepared to ensure that you are given the best buying experience with knowledge and expertise to guide you along the way. Now, I would like to talk about What is the Cost of Waiting Until Next Year to Buy? 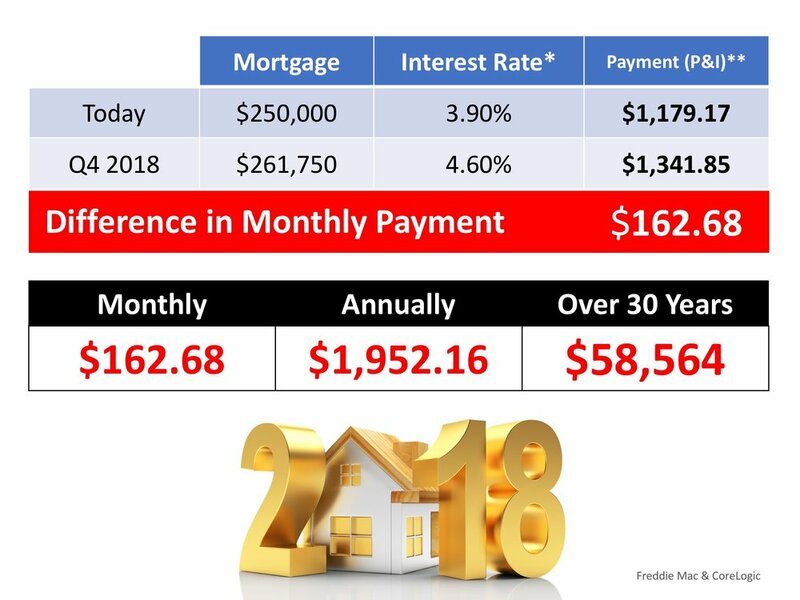 The Mortgage Bankers Association (MBA), Freddie Mac, andFannie Mae all project that mortgage interest rates will increase by this time next year. According to CoreLogic’smost recent Home Price Index Report, home prices will appreciate by 4.7% over the next 12 months.